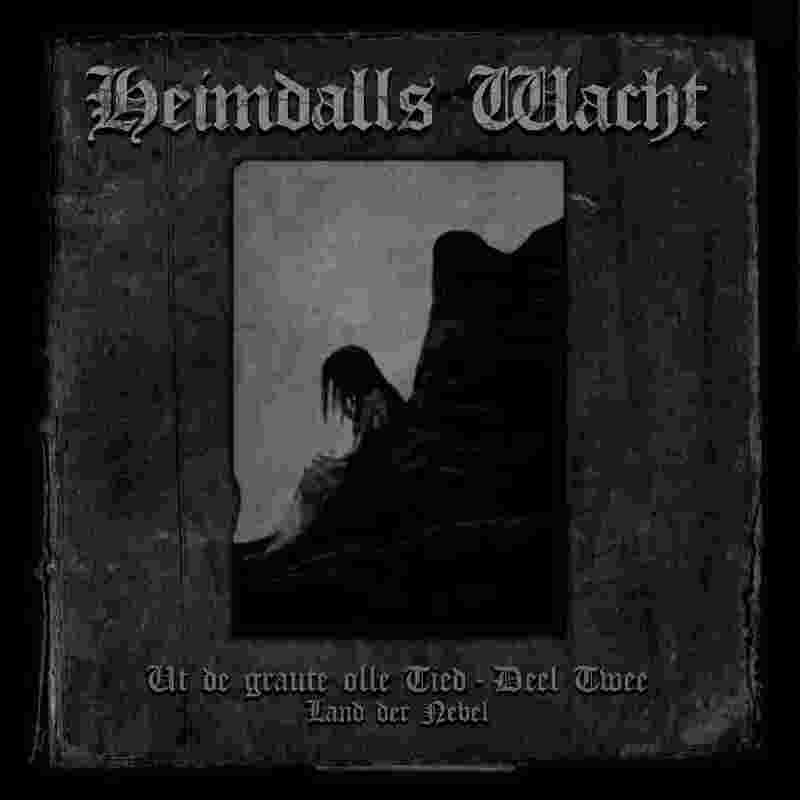 Heimdalls Wacht is a pagan black metal band from Germany that has been around for many years, with sixth full length releases and a few other smaller releases. I haven’t had the chance to look too far back into the catalogue, so I have no clue how this album compares to their other material. To get right to the point, this album is amazing! Heimdalls Wacht plays fairly in your face, with raspy guitars shredding away for most of the music. The first song of the album, Die Fallenden Blätter Der Irminsul, starts out very fast and heavy, showcasing the band’s black metal chops. The black metal vocals are pretty amazing, going for that high pitched screech rather than the lower or uglier sounding styles. I’m really in love with the more vicious sounding styles of vocals these days, and Heimdalls Wacht sounds perfect to me. The drumming can be great, especially on songs where they are given license as a full instrument and lead the song, like on the driving Conspiratio Barbarica. This song is fast-paced, with great drums punctuating each verse. The album can slow down a bit here and there, and this is when I think Heimdalls Wacht is playing the best sound they have to offer, really layering on the epic feeling with slower guitar passages that incorporate acoustic guitar and epic solos. They tend to switch vocal styles to a cleanly sung one, which sounds proud and epic in their native German. There is a tone that the vocals pulls off, it just sounds so elegant, almost like the vocalist is from another time. It’s the kind of vocal style you would expect from a pagan black metal band, but not one you’ve probably heard before. Rather than relying on that “viking” vocal style with the chorus of voices and the lower register, the singer keeps his voice rather high and clear. In fact, the whole sound of Heimdalls Wacht avoids falling upon those now-standard tropes that are so overused by the Viking/pagan black metal bands, which I really appreciate. My favourite song of the album, Auf Roter Erde Erblüht (Ursprung Teil I), starts with chanting that is just amazing. On this song and a few others, there is acoustic guitar strumming in the background that eventually takes center stage, and the electric guitars turn from raspy shredding to some slowly played notes which eventually turn into this brilliant guitar section. It’s really quite amazing that a pagan black metal band can pull off the middle section of Auf Roter Erde Erblüht (Ursprung Teil I), which sounds like it came right from the most epic heavy metal songs of the mid-eighties. Regarding the melody, Heimdalls Wacht definitely knows how to play to one. It was most noticeable for me on the song Schwarzmondritual, which keeps the same melody throughout the entire song, even though the song progresses from heavy to slow, black metal vocals to clean vocals, and back again. What surprised me the most was the fact that the black metal vocals were “sung” to the melody, which I rarely hear in any kind of extreme metal. It really ties the whole song together and gives it a sense of structure, which can sometimes be lacking for the modern progressive songwriting approach to some black metal. This album is neither front-loaded nor back-loaded; every song is extremely strong, and none of it feels repetitive or boring. Each song has its own purpose, its own sound to show off. Ut De Graute Olle Tied (Deel Twee) – Land Der Nebel is quite lengthy album, with seven full songs totaling to an hour playtime, but I never feel like I want to turn it off or skip ahead in the album. If I had one gripe to make, it would be that the vocal section at the end of Seelenstaub is a little much. It’s basically a spoken-word section that eventually turns into a shouting fest, but it doesn’t really match anything else on the album and gets a little grating. But that is my only and extremely minor gripe. Everything else on this album is gold. I cannot get enough of this sound and I really wish I knew more bands that walked this line of black metal and “pagan” folk. Go and get this album as soon as you can!